If you have overly sensitive skin, you know that you have to be super careful in regards to WHAT you’re applying on your skin. 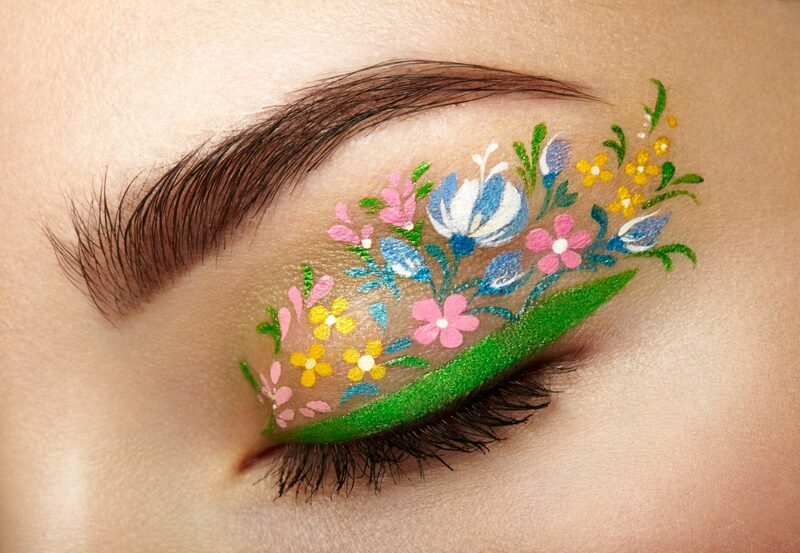 Commercial products and makeup can actually make sensitive skin even worse, so that’s why we’re committed to bringing you only the most natural and most effective DIY beauty products! 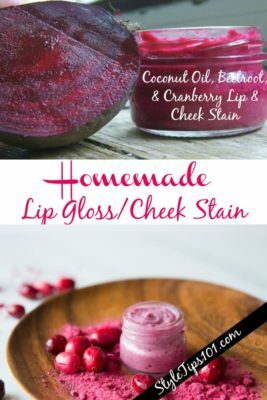 This DIY cranberry lip gloss & skin stain is made with all natural ingredients and works as both a lip gloss and a skin stain! 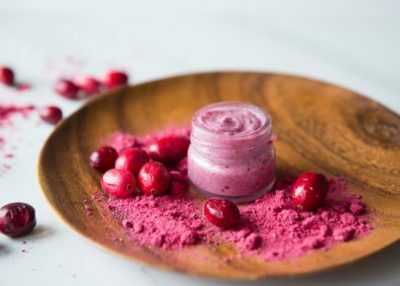 Formulated with beeswax, coconut oil, beetroot powder, and natural cranberries, this DIY cranberry lip gloss is the answer to all of your sensitive skin questions! It’s not only makeup, but it’s also a skin saver as the coconut oil hydrates dry skin, leaving it soft and supple! 1/2 tsp beeswax pellets – optional. The beeswax will give the gloss/stain a firmer texture and will melt more easily into the skin. Melt the coconut oil in a small saucepan. Add the cranberry and beetroot powders and stir well. Remove from heat and let stand for 30-60 minutes so that the coconut oil gets infused with the powders. If you’re using beeswax, heat the coconut oil mixture again, and add in the beeswax. Allow to melt completely before removing from heat. 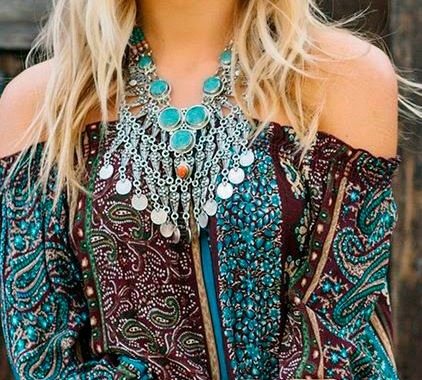 Let cool for a little bit. Strain the warm oil using a cheesecloth that is placed over a fine mesh sieve. Press gently to extract as much of the oil as possible. Stir in the shea butter until completely melted and let cool. Once solidified, beat the mixture with a spoon or a hand mixer to get it nice and creamy.